I know, I know. Christmas is over! It's the new year! 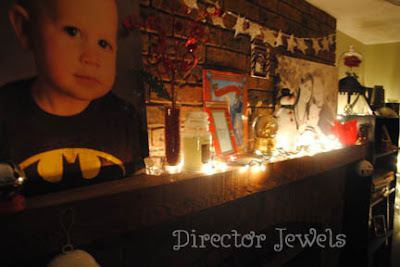 Why on earth would I waste everyone's time by blogging about my Christmas decorations? Well, I had really good intentions. This post was actually drafted for December 14, but because of my tiny children and my resulting lack of sleep somehow that didn't happen. Our decorations went up the first weekend in November, because I was pretty certain we would not be motivated to do it once Addie arrived. And since she came almost two weeks early, it's a good thing we decorated when we did! Top of the piano. I think turned on this strand of lights once. Better view of the mantle. My decorations are really pretty eclectic. I don't have a specific theme; I just purchase and/or make things as I find them or am inspired. 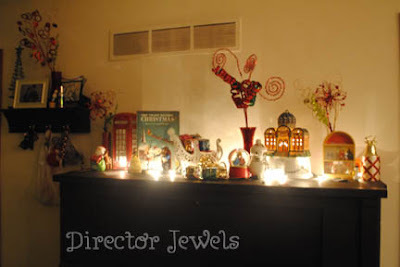 A few things have special meaning - ie, the gold snowglobe above is from the production of The Life and Adventures of Santa Claus that my hubby directed at our community theatre a few years ago. Lincoln thought the globe was awesome, but was rarely allowed to touch it. This idea was found on Pinterest (where else?) and inspired by the blog Greener Grass. Every year, we are at a loss as to what to do with our Christmas cards. The fridge is too small, I don't have room for a basket (plus then we wouldn't look at them anyway), if I try to put them on a wall or doorframe, Lincoln will just pull them down... you get the idea. So I went to Hobby Lobby, bought a half-price spool of Christmas ribbon and stuck it on the back of my cabinets with packing tape. 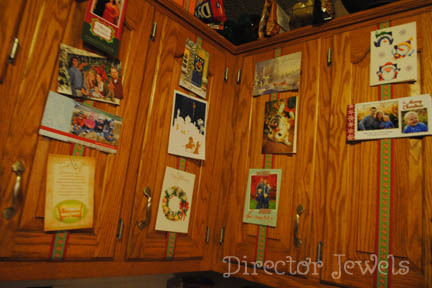 We used paperclips and binder clips to attach our cards to the ribbons on the kitchen cabinets as they arrived each day. It was a great solution! I'll probably try to find something a little better than tape next year - in the last few days, the ribbon has started falling off and I don't need Christmas cards cascading onto my countertops in the midst of dinner preparation. Maybe just tying a knot like the original blogger suggested?! You may have noticed in the first photo above that our Christmas stockings were not hanging. That is because they did not yet exist when I took these photos in mid-December. 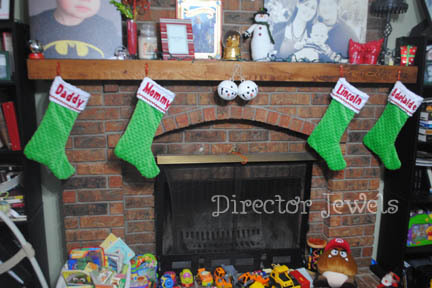 I bought fabric to make stockings for our family in November 2011, but it just didn't happen. A smart crafter would have made them the first project of the new year, right - to be prepared for the next holiday season? Yeah, not me. I figured, oh I have plenty of time. Then I got pregnant. Then I had the baby. Excuses, excuses, right? But I was really determined - and while it took me until December 23, I did get them finished in time for Christmas this year! I'm really pleased with how they turned out. And I even have extra fabric so that I can create additional stockings for any future family members who may join us down the road. We really enjoyed having the decorations up - but oh my word, we were so ready to be done with them by the time Christmas arrived. Everything was actually packed up by the end of New Year's Day. And this? This only happened once. Look at his face. Such a little sneak. 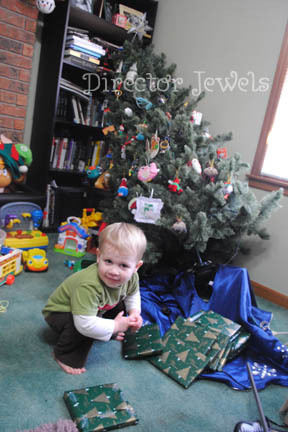 Miraculously, nothing broke and all of our ornaments are safely packed away until next year! Are your holiday decorations still adorning your home? 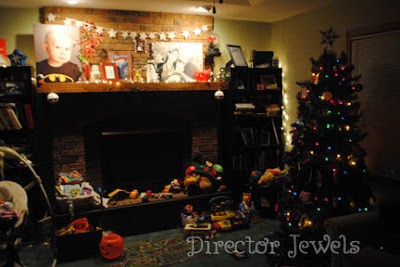 When do you usually un-decorate?